What is a team? Individuals working together for a common cause, together for the good of the mission, functioning as integrated parts of the whole. We have collaboration, cooperation, harmony, synergy, coordination, unity, partnership, solidarity. We are Team Luxor! 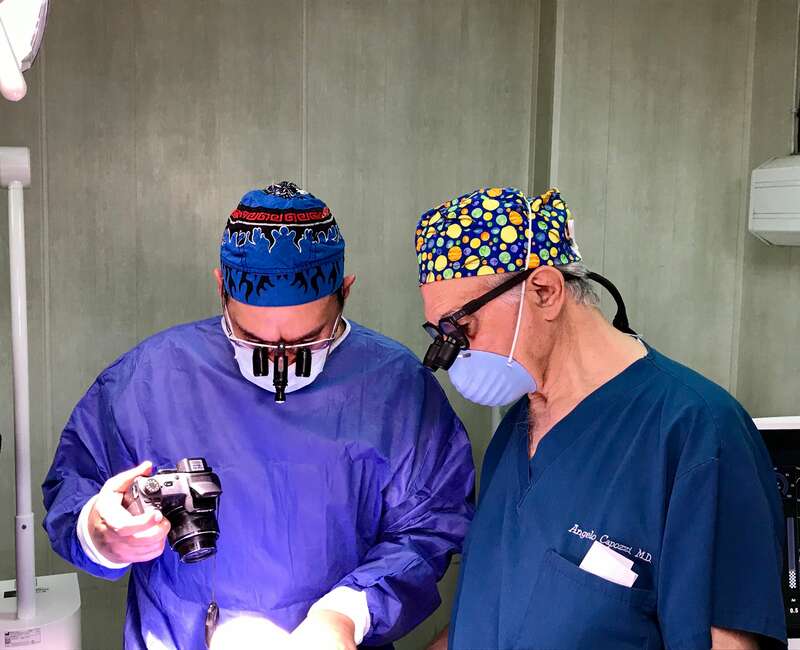 Dr Angelo Capozzi (right), Plastic Surgeon, performing surgery. 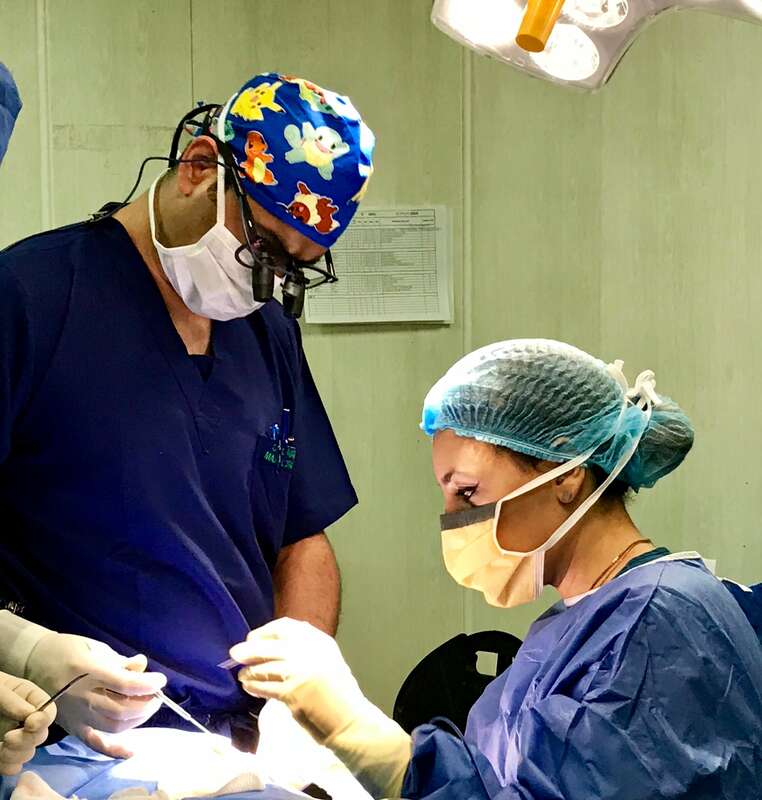 Dr Capozzi is the co-founder of Rotaplast International, and our Medical Director for this mission. He has done 70 missions with Rotaplast, and many with other organizations before Rotaplast was formed 26 years ago. Dr Angelo Capozzi (left), a plastic surgeon, is changing the dressing on a patient assisted by Dr Rod Simonds, Plastic Surgeon and Merewyn Dixon-Beckett, PACU nurse. Dr Simonds has spent many years with Rotaplast, having done 21 missions since his first mission as a resident. He is active on the Rotaplast Board, and has been a member of the Medical Committee for many years. Dr Gagan Sabharwal comes to us from New Delhi, India, unlike the rest of our team who are from the United States. He has done 22 missions over the last eight years, 11 of them with Rotaplast. 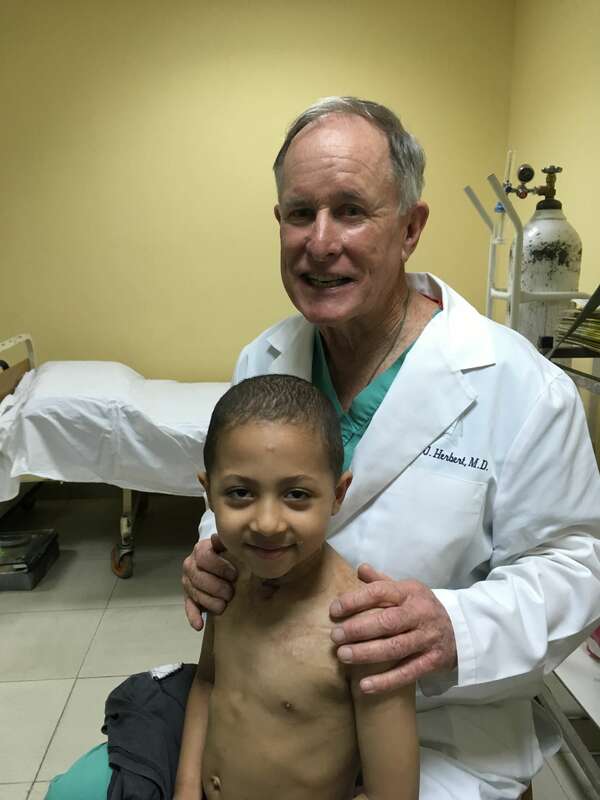 He is working here with one of our guest surgeons. Dr Roop Gill, Plastic Surgeon is changing a dressing on a patient. This is her first Rotaplast mission, and she is quite eager to do another mission soon! 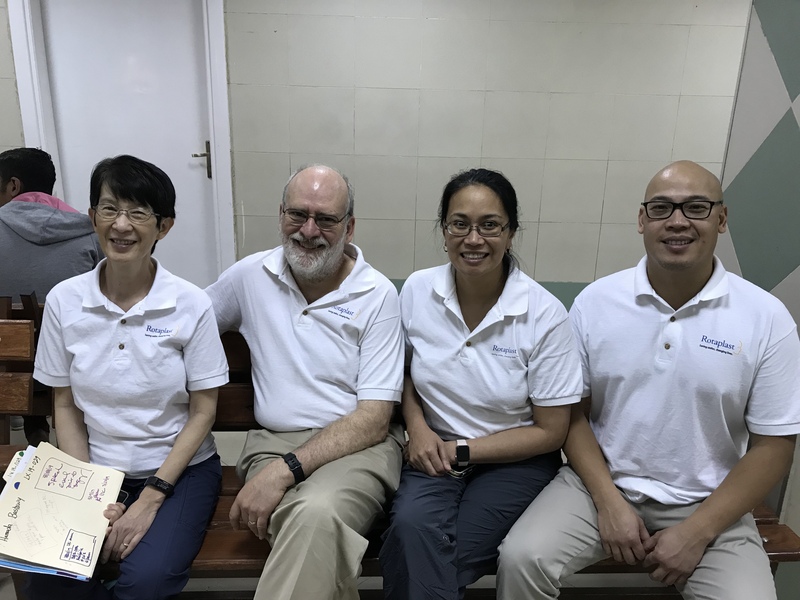 We also have four anesthesiologists: (left to right) Dr Hanna Le Nguyen, Dr Neal Fleming, Dr Dulce Anunciacion and Dr Dan Ramos. Dr Neal Fleming, Lead Anesthesiologist, and has been involved with Rotaplast for about 20 years. He figures he’s done 30 missions. Dr Fleming is currently President of the Rotaplast Board, and has been involved with the Board and Medical Committee for many years. 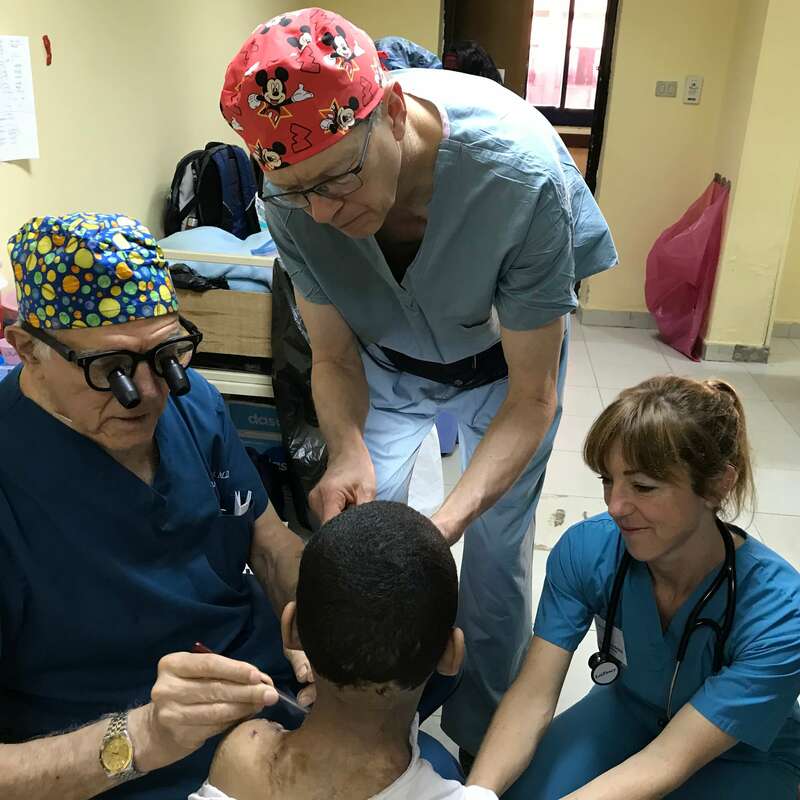 As this is his passion, he has introduced many residents, anesthesiologists and nurses to Rotaplast over the years, with many of them continuing to volunteer to this day. Two are on this trip. 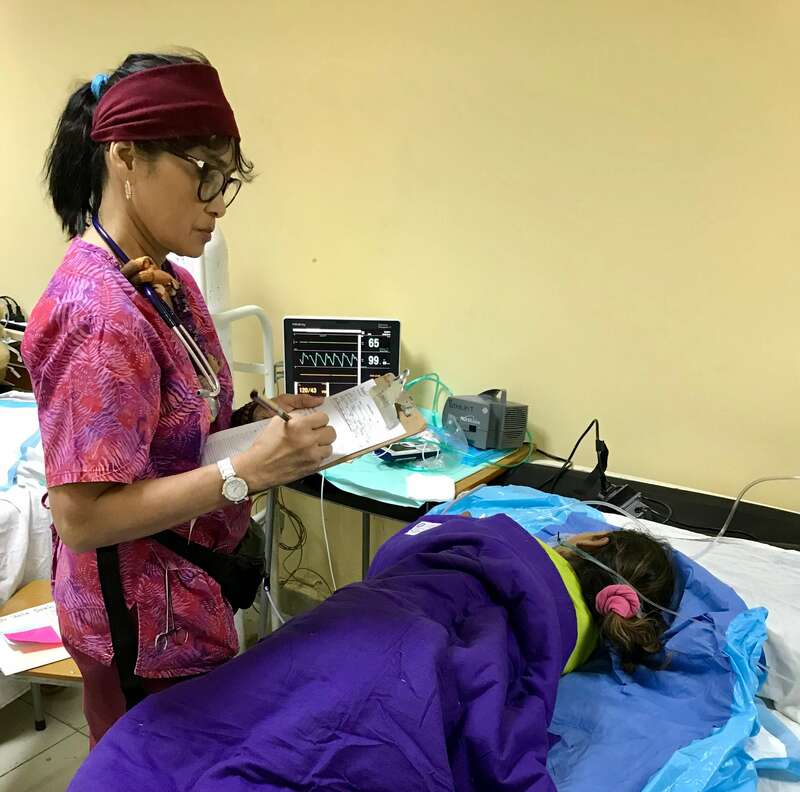 Dr Hanna Le Nguyen, Anesthesiologist, is providing anesthesia during a surgery. She has done 20-30 missions, some with Rotaplast and some with a group of physician friends who’ve traveled together for many years. 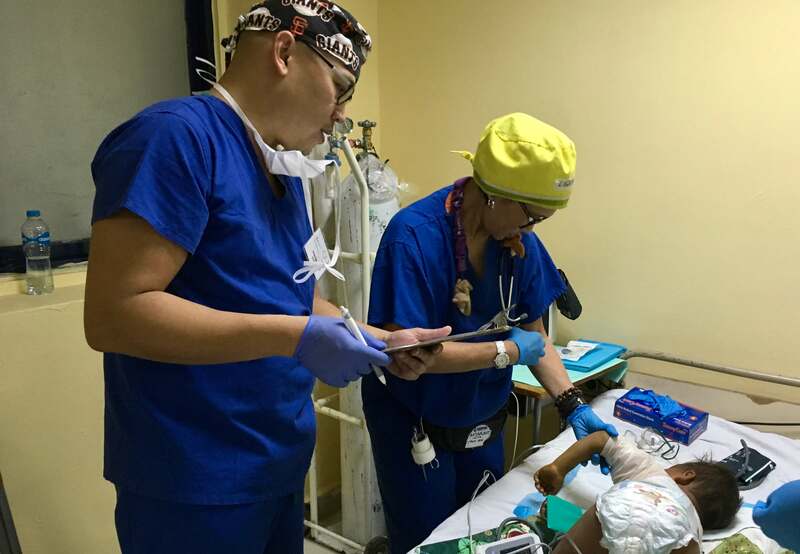 Dr Dan Ramos, Anesthesiologist, is turning over his patient to Ligaya Agustin, PACU Nurse, after surgery. Dr Ramos has been with Rotaplast since he chose to do a two week elective rotation during his residency at the University of California, Davis, USA under Dr Fleming. One trip and he was hooked! 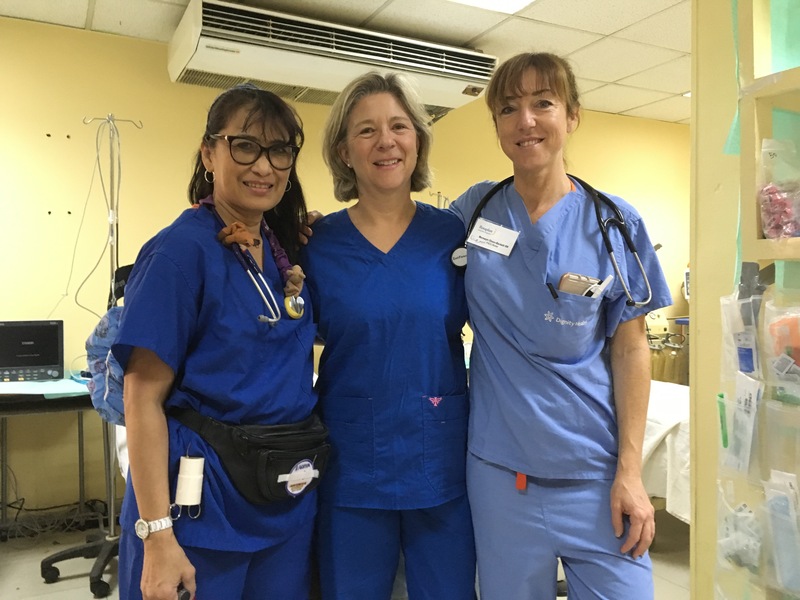 Dr Dulce Anunciacion, Anesthesiologist, seen here with ASFer Maria, began traveling with Rotaplast about eight years ago, when she learned about it as a colleague of Dr Fleming at the University of California, Davis. We have both a pediatrician and a pediatric nurse practitioner on this trip. Dr Joe Herbert (above) is our Lead Pediatrician. This is his 39th Rotaplast mission, but he had volunteered with other organizations before that. 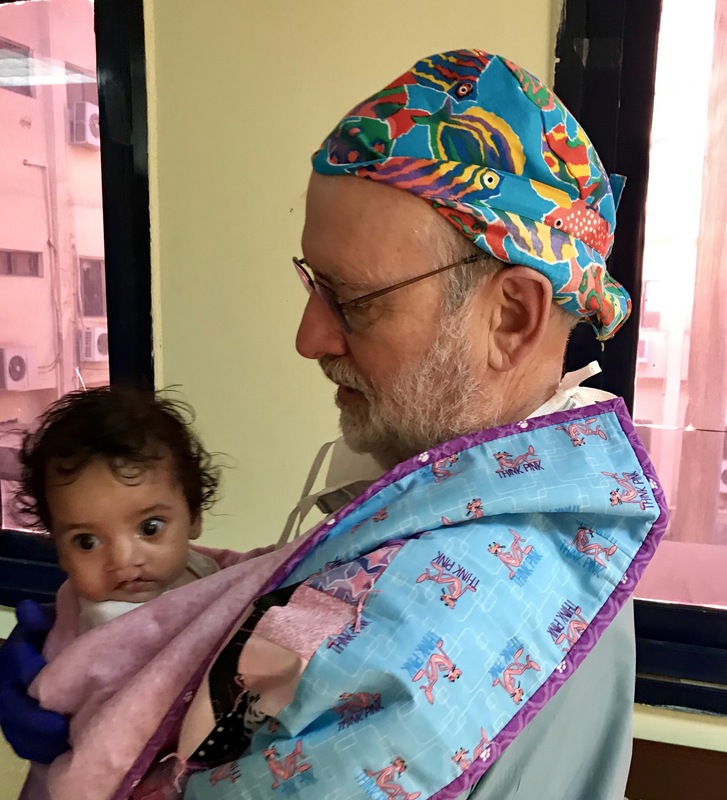 One of the first things his mentor urged him to do when he began his pediatric practice years ago, was to volunteer for missions. Dr Herbert is stationed in the PACU on this trip , overseeing patients as they come out of surgery, and ordering any necessary medications. 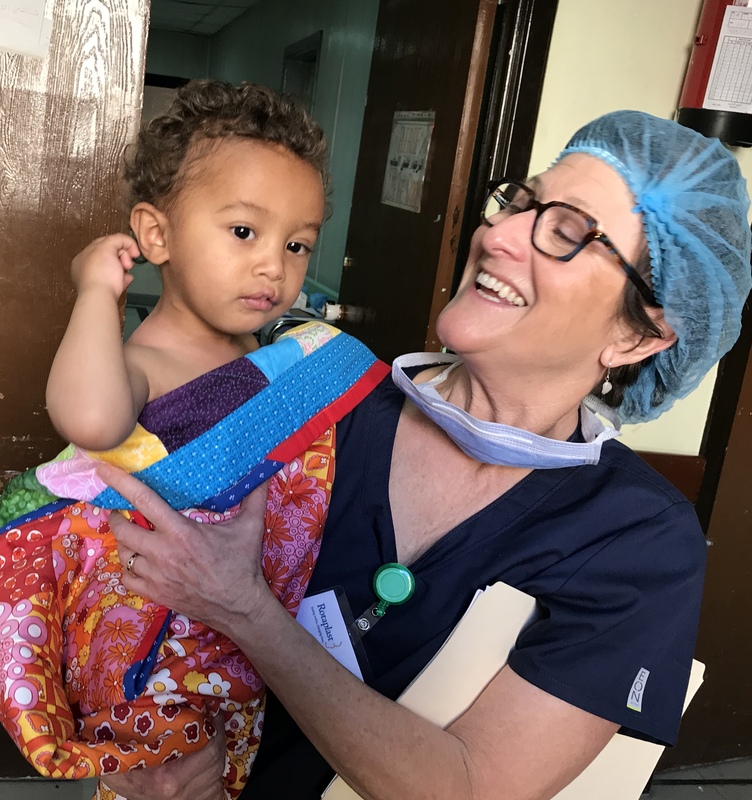 Karen Davis, our Pediatric Nurse Practitioner, is on her seventh mission with Rotaplast since joining about 2 1/2 years ago. She was stationed upstairs on the ward where our patients were staying. 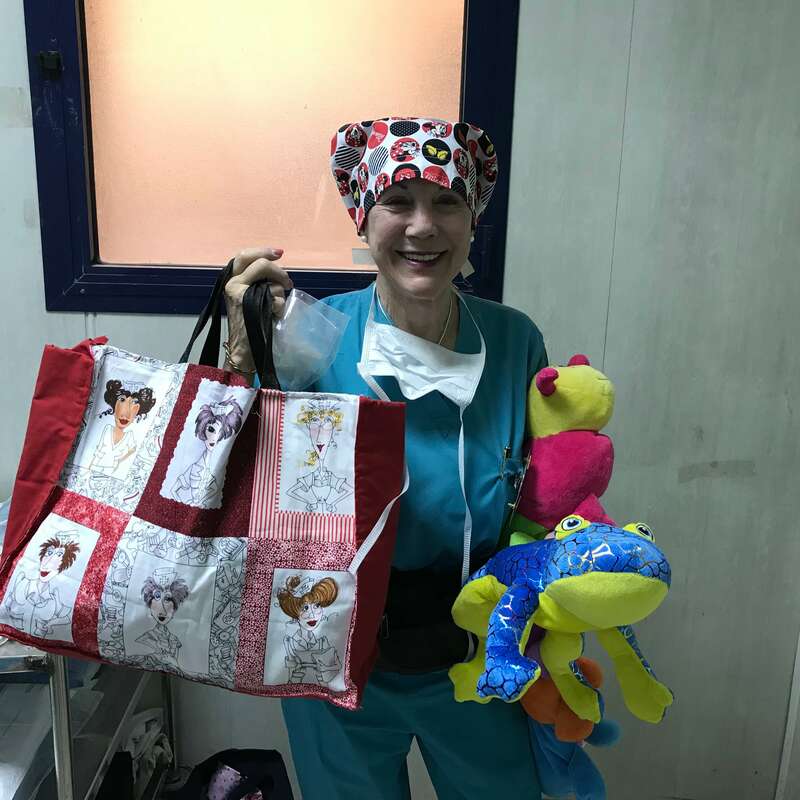 Karen was kept quite busy rounding daily with the surgeons, doing pre-op exams, working with patients on the floor and discharging them. 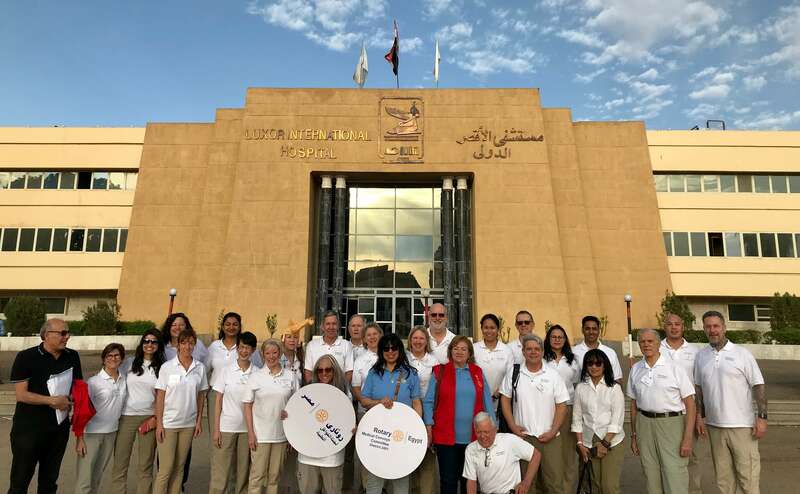 Our Head Nurse, Kim Capps joined Rotaplast when Colorado medical personnel were recruited for a mission to Peru, as they were already acclimated to high altitudes. This is her 35th mission. 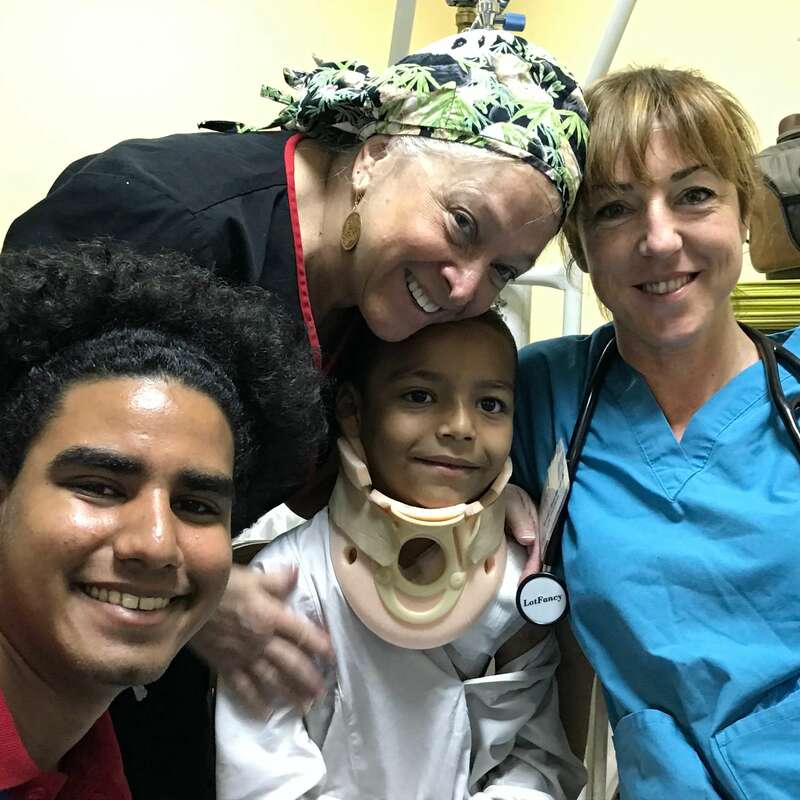 She is seen here (left to right) with Seif, one of our ASF interpreters, Choban, a favorite patient, and Merewyn Dixon-Beckett, PACU Nurse. Our PACU group: (left to right) Ligaya Agustin, PACU Nurse, Nancy Boulden, PACU Assistant and Merewyn Dixon-Beckett, PACU Nurse. 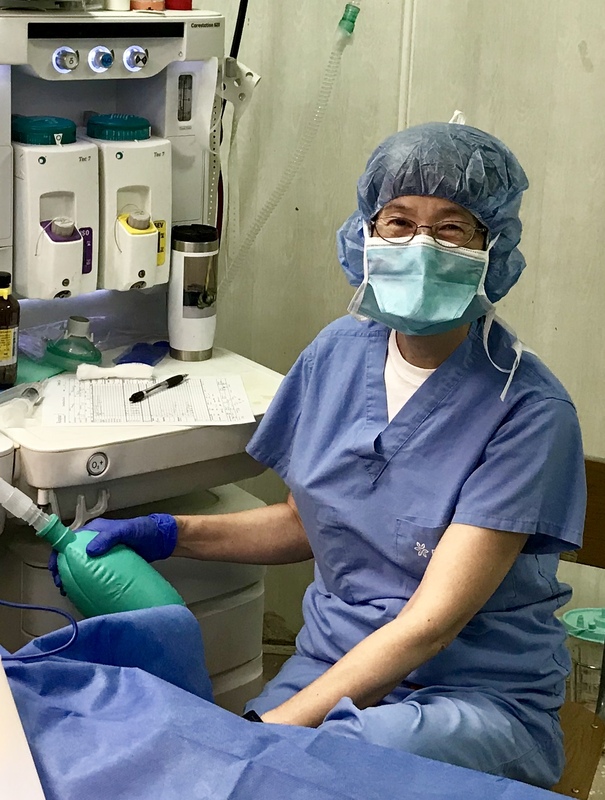 Ligaya Agustin is our Lead PACU Nurse, and has done many Rotaplast missions, as well as disaster missions after Hurricane Michael in Florida. Merewyn Dixon-Beckett is on her second mission with Rotaplast as a PACU nurse. 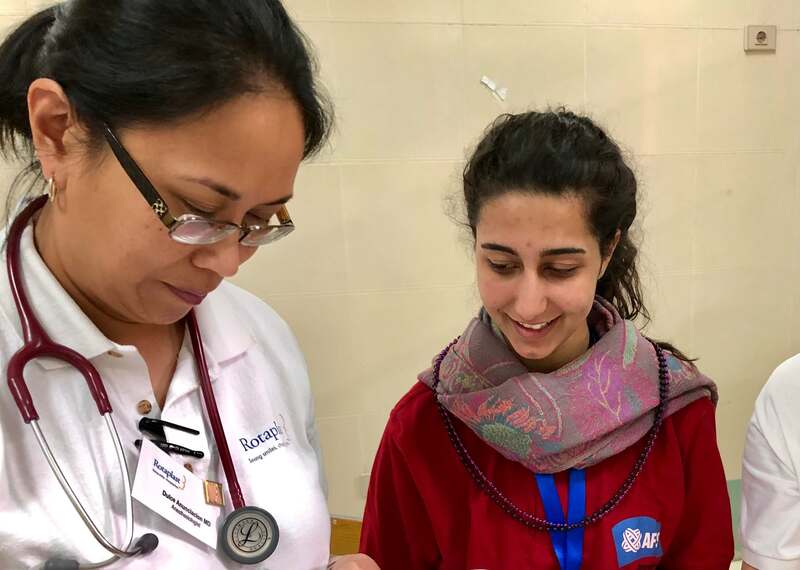 She was recruited by Paula Fillari, a longtime Rotaplast volunteer and supporter, who was her nursing supervisor in the Burn Unit at St Francis Hospital in San Francisco, California, USA. 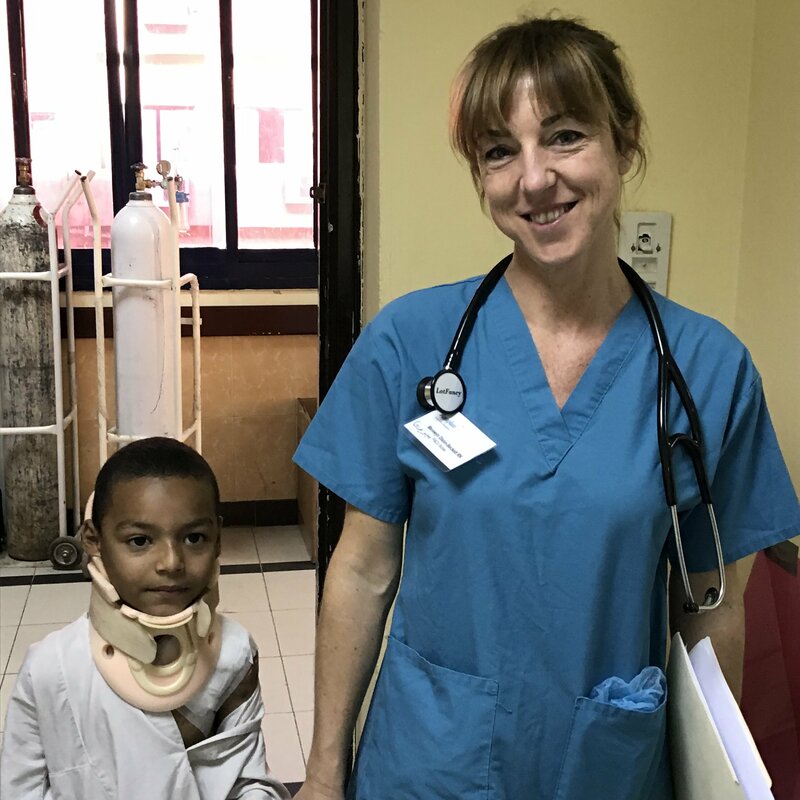 Victoria Slama is one of our Operating Room Nurses, and has done 46 missions with Rotaplast and other groups. She is known to the children as “Minnie” with her mouse ears, and is known for bringing large amounts of toys and other gifts for the children. David Sparks is another Operating Room Nurse. While he was in San Francisco, he knocked on Rotaplast’s door, and asked if he could volunteer. 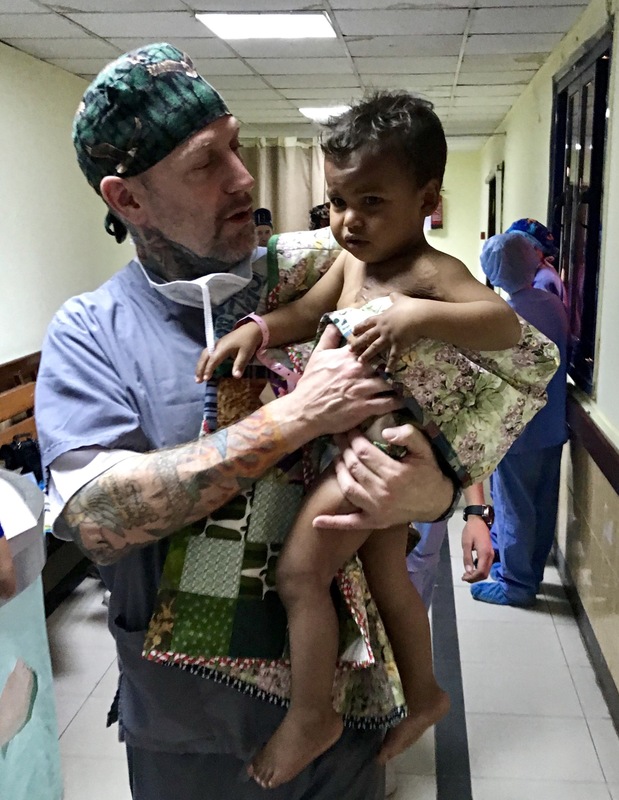 He’s been volunteering ever since, and word is that he was an excellent Head Nurse on Rotaplast’s recent Myanmar mission. 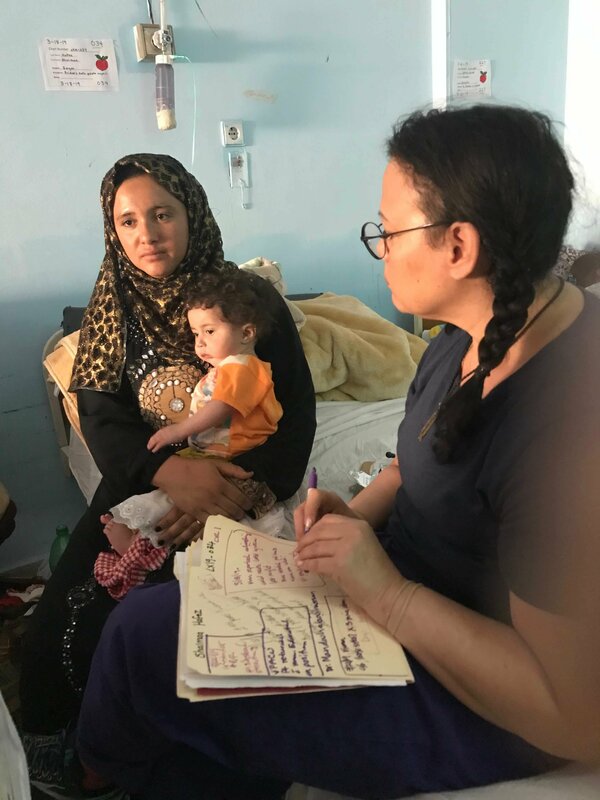 Our Speech Pathologist on this mission is Susan Whitaker. 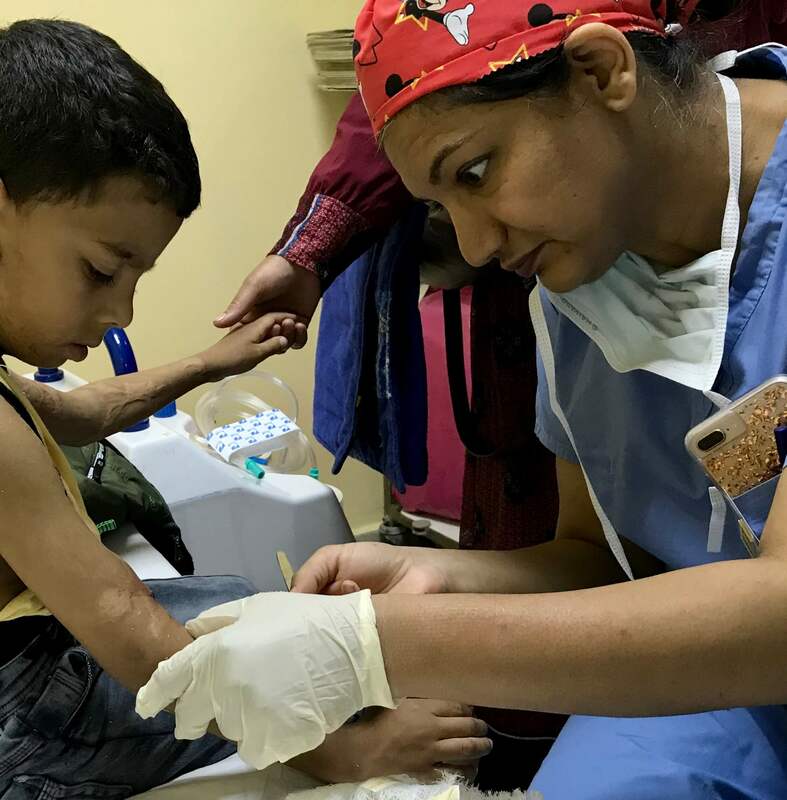 With the acquisition of a portable nasoendoscope, she is able to visualize the palate with a fiber optic scope prior to surgery, which helps the surgeon learn if surgery is necessary, and/or what type of surgery or flap would be required. Surgeons also find it helpful to visualize post-op palate surgeries in an effort to improve flap placement. Speech pathologists assist with oral motor therapy and lip scar reduction through instruction of lip massage techniques. They evaluate feeding techniques and provide instruction. For example, if a baby has an upper respiratory infection, feeding techniqus are assessed to insure that milk flow is appropriate. Traditional speech therapy is also provided if needed. 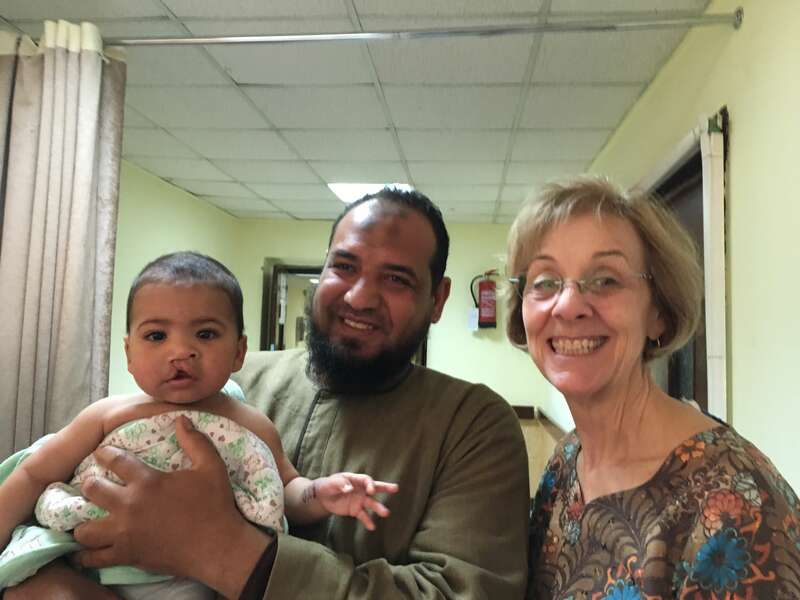 Susan has done 12 nasoendoscope procedures on this trip, as well as 60 other procedures. We’ll meet our non-medical volunteers soon.